Make your lawn look as cleanly cut as possible with Honda HRR216VLA Self-Propelled Lawn Mower. This self-propelled mower does all the work for you. All you have to do is guide it in the right direction while easily changing it to the needed speed using the variable speed Smart Drive that comes standard on this lawn care machine. To guarantee your grass is thoroughly cut the HRR216VLA uses the twin blade MicroCut System for a clean-cut manicured lawn. To keep that polished, clean look this Honda mower uses the 3 in 1 with Clip Director, which has the capability to mulch, bag, and discharge leaves and grass. All of this in just one unit. 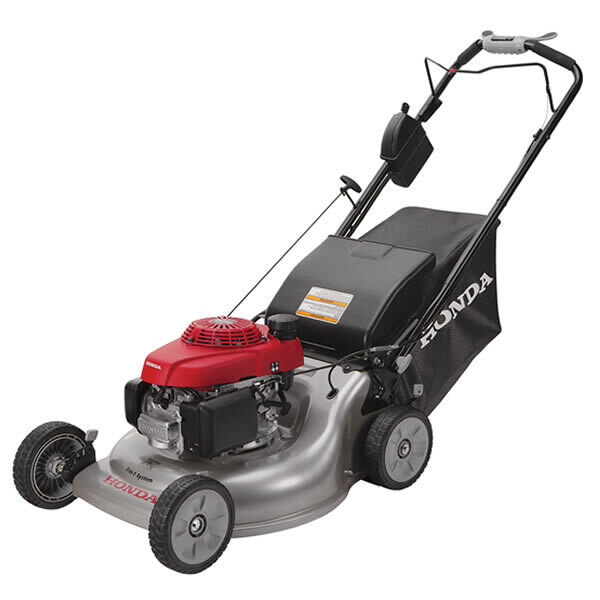 Getting started was never easier...The Honda HRR216VLA has the Honda GCV160 engine with standard Auto Choke System that allows the mower to easily start the engine. No more constant pulling a starter cord until you become fatigued because the Honda HRR216VLA has a self-charging electric start. No need to keep it plugged and with an electric start achieve the lawn you want. The unique Honda HRR216VLA Self-Propelled Lawn Mower allows the user to mulch grass and leaves, bag it, or discharge it back to ground with no added tools!